Scrum Product Owner Certification (SPOC™) is a course designed to develop the advanced skills necessary to be a Product Owner. As the backlog owner and business decision-maker, the Product Owner is responsible for the final deliverable of the project. There is no formal prerequisite for this certification. However, SDC™ or SMC™ Certified professionals will be able to better understand the concepts required for this certification exam. To maintain the certification status, Scrum Product Owner Certified (SPOC™) professionals will need to earn 40 re-certification credits every 3 years. 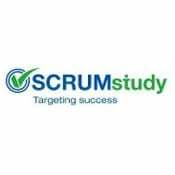 Successful completion of the course earns a certification from SCRUMstudy.